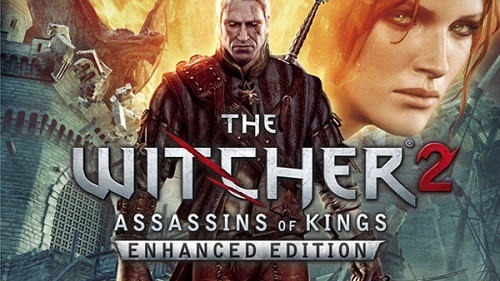 Yesterday in a press conference in Warsaw, Poland, CD Projekt RED revealed the release date for The Witcher 2: Assassins of Kings Enhanced Edition for the Xbox 360. Also revealed was that there will be two versions available to purchase, hitting store shelves April 17th 2012! The game has been extended through added quests and locations enhancing the already complex story of the battle for the Northern Kingdoms. “PC users who already own the game will be happy to learn that they will be able to download all the added content free of charge. At the same time, the Xbox 360 version will incorporate all DLCs and upgrades made available thus far for the game’s original platform (including the ‘Arena’ arcade mode and Tutorial that were part of the latest and richest PC version)” added Badowski. For details on the 2 editions and pre-order information head over to: buy.thewitcher.com, But for now check out the amazing CGI release trailer below! I think this is great news, an incredible award winning title ported over from the PC to the console AND all the added content available FREE to everyone who bought it on the PC! What do you guys think? Have your say below! this webpage, this webpage is in fact amazing. yeah after seeing this trailer and reading all this info I’ve been playing through the first one from beginning to end and it’s fantastic! Pretty awesome trailer. Still need to beat the first game, and then eventually buy the second. Glad that by the time I get around to playing the second the enhanced edition patch will have come out.